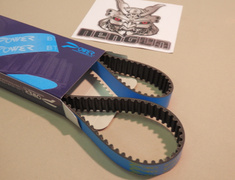 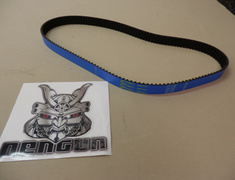 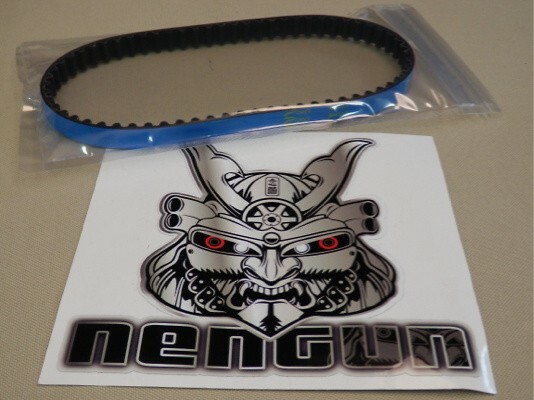 The Power Enterprise super strong timing belt has four times the durability as does not slacken due to its unique structure. 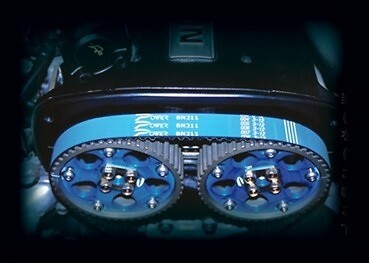 Prevents the decline of the engine power and engine troubles. It is difficult to know a life span of a timing belt, and it is remarkably shortened especially used for highly powered engines. 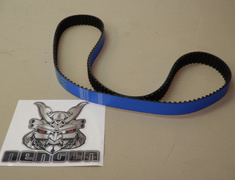 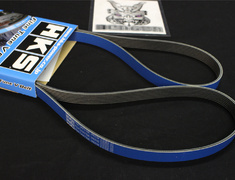 However, standard timing belts do not endure 100,000 kilometer running of a vehicle. In short, if you tune up your engine, your timing belt is always in danger of breaking. 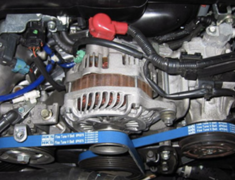 Even though you spent a large sum of money for tuning up your engine, your car might turn to be a clod of iron in an instant by only one timing belt. 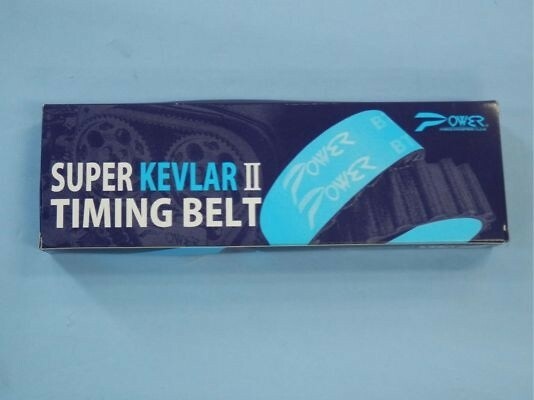 Power Enterprise(PWR) offer Super Strong Timing Belt, which has higher durability to protect your engine from these troubles. 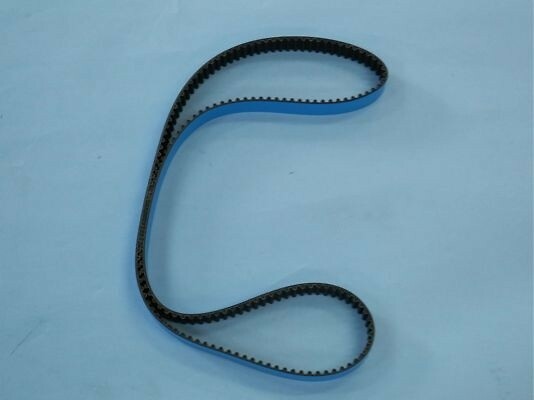 This timing belt has four times durability as standard one, and does not 'slack' because of special structure and manufacturing way. Standard timing belts slack and lose its tension soon after about 100km drive. 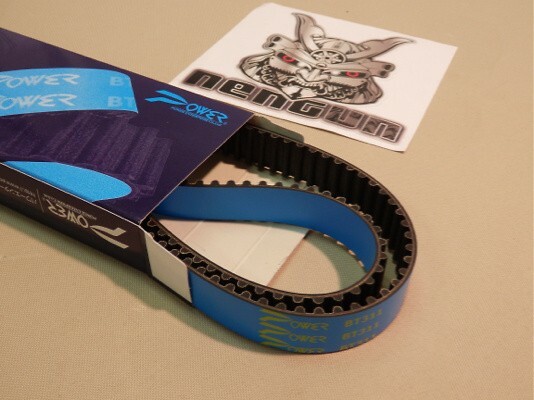 So the cam timing is delayed, and then the engine performance deteriorates. 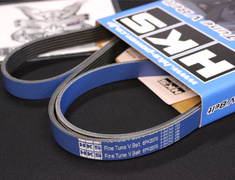 Super Strong Timing Belt prevents the decline of the engine power and excessive throbs at high revolution caused by a slack timing belt. 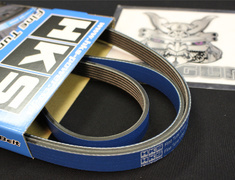 As a result, nearly 100% of top teams in Japan use Super Strong Timing Belt at drag races. You can confirm the structure of Super Strong Timing Belt in the following figures.